California high-speed rail, growth of express lanes, the user-pays principle, and more. Is the “distracted pedestrian” a myth? Enforcement is an ongoing unsolved problem for HOV, HOT, and express toll lanes that offer better service to vehicles carrying a specified number of occupants. Roadside enforcement is costly and ineffective; if actual violators are 30 percent of all vehicles, a patrol officer can stop and pull over only a handful of violators per hour. Every new roadside camera system that has been tested under real-world conditions has failed state DOT requirements; I don’t know any that can reliably image back-seat occupants (for corridors with HOV-3 requirements). And selectable transponders (declaration tags) rely on the honor system—but when people can save $10 or $20 per trip by cheating, a great many cheat. An occupant beacon (key fob) for passengers without the smartphone app. 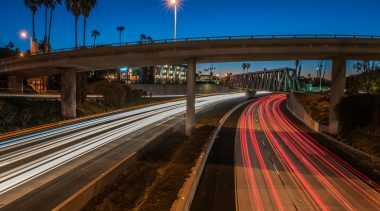 Carma’s business model calls for it to contract with a state DOT or other roadway operator to use its system instead of any of the failed occupancy detection methods. The road operator pays start-up fees and an annual software-as-a-service license fee to Carma. The company provides marketing materials for the operator to use to inform its customers. The operator avoids costs such as providing declaration tags, roadside equipment, and law-enforcement contracts. I followed up with a teleconference to find out who has tested the system and if anyone has signed up for it. Carma told me of pilot projects it carried out in Austin (with CTRMA) in 2014 and a second one in the San Francisco Bay area (with BATA/MTC) in 2016. Following the first pilot project, Texas DOT contracted with the company to provide vehicle occupancy detection on all managed lane facilities in the Dallas/Ft. Worth metro area, in partnership with the North Central Texas Council of Governments. TxDOT’s plan is to expand the use of the system statewide, with Austin as the second deployment area and Houston third. This is a great example of using clever technology to solve what has been an intractable problem. I will follow its operations with great interest. 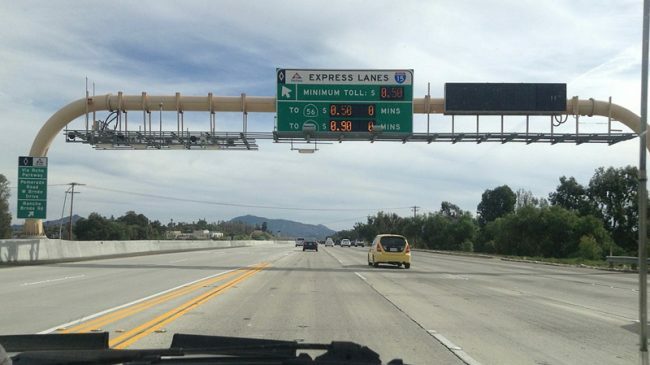 Back in December, USA Today published a major story on the growth of express toll lanes across the country. 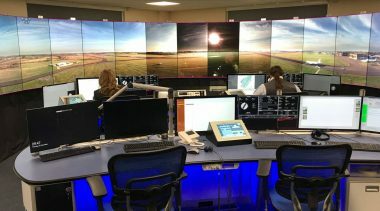 Reporter Bart Jansen included a table of 40 projects then in operation, with 13 in Texas, 9 in California, and mostly 1s, 2s, or 3s in the other nine states. But Jansen’s total is already out of date, as new projects reach completion and open to traffic. 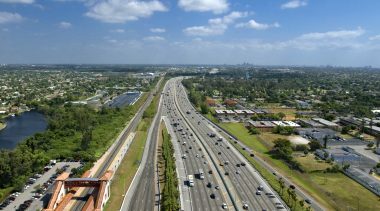 Florida has opened two more ETLs since then (on I-75 near Ft. Lauderdale and on the Veterans Expressway near Tampa). Several projects in other states are nearing completion for opening this year. These include the latest stretch of North Tarrant Express in Fort. Worth (opened in April), the first ETLs in Jacksonville, FL (on I-295, to open by the end of summer), and the extension of Atlanta’s I-85 ETLs (also this summer). Ground-breaking for one of the largest investor-financed ETL projects to date took place in Virginia on June 28th. The project will result in two ETLs each way on I-66 outside the Beltway, in a $3.6 billion project led by Cintra, which developed the LBJ and NTE projects in Dallas and Fort Worth, respectively. The largest set of new ETLs is moving forward in Maryland, as previously reported in this newsletter. One major project (or, more likely, set of projects) will add two ETLs each way on Maryland’s half of the Capital Beltway (I-495) and on I-270, adding to the emerging network of such lanes in the greater Washington, DC metro area. In addition, Maryland DOT has opened discussions with the National Park Service, which owns the Baltimore-Washington Parkway between the two cities. Gov. Larry Hogan’s ETL plan includes adding priced lanes to that facility, as well. Meanwhile, on the other side of the Potomac, Virginia DOT is studying a proposal to extend the existing I-495 ETLs to the American Legion Bridge, to provide a seamless connection to the future Maryland ETLs. The idea of a Metro Washington Express Lanes Network got a significant boost, via a mid-May report from the Greater Washington Partnership endorsing the concept as vital for reducing the region’s severe traffic congestion. Chicago is likely to be the next major metro area to embark on an ETL network. The 2040 long-range transportation plan released early this month by the Chicago Metropolitan Agency for Planning (CMAP) calls for adding ETLs to I-55 and several stretches of I-80, in addition to new toll roads and possible dedicated truck lanes on some corridors. Illinois DOT already plans to reconstruct and widen Chicago’s Eisenhower Expressway (I-290) with the addition of ETLs as part of the project. One or both of the I-55 and I-290 projects could be procured as toll concessions, if the Legislature gives its permission. Adding one ETL each way to US 101 from Redwood City to San Bruno south of San Francisco. This is another segment in the emerging ETL network in the Bay Area. User-pays/users-benefit is a cornerstone of U.S. transportation funding because it provides dedicated revenue that cannot be diverted to other uses. Unfortunately, states looking for additional funding will tap any available source including sales tax, hotel tax, and special purposes fees. The recent transfer of $102 million of roadway funding in Virginia from its highway trust fund to the Washington Metro Area Transportation Authority (WMATA) shows what happens when users-pay is not in effect. This diversion of funds will hamper mobility in the Northern Virginia region for years to come. Increased the 5 percent sales tax on nonfood merchandise to 5.3 percent (6.0 percent in Northern Virginia and Hampton Roads). The extra 0.3-1.0 percent is dedicated to transportation. Imposed a $100 annual fee on hybrids and alternative fuel vehicles. Increased the general fund revenue dedicated to transportation from 0.50 percent of the budget to 0.675 percent. Increased the car title tax from 3 percent to 4.15 percent. Kept the diesel fuel tax at 6 percent, but vehicles weighing less than 10,000 lbs. get a 0.9 percent refund of tax paid. Added (for Northern Virginia and Hampton Roads) a 2.1 percent tax on wholesale distributors of fuel, a 2.0 percent transient occupancy tax, and a grantor’s fee equal to $0.15 per $100 of assessed property. Confused? When the package passed, nobody knew how the different tax changes would affect gas prices. The only clear takeaway was that the bill increased revenue for transportation by about $880 million annually. Fairness. Those who pay receive most of the benefits. In Virginia, much of the transportation funding now comes from a sales tax that has no link between what people pay and the benefits that they receive. Proportionality. With the users-pay principle, those who use highways the most pay the most; those who don’t use highways don’t pay any direct fees. With Virginia’s sales tax approach, what people pay has no relationship to the amount of infrastructure they use. Telecommuters and transit users pay the same amount as daily motorists. Self-limiting. A real user tax is limited to providing funding for the needed improvement only. A sales tax could lead to all sorts of boondoggles, from unneeded rural highways to white elephant light-rail projects. Predictable. It provides revenue streams that are independent of government budgets, allowing stable revenue. Sales tax revenue varies with the economy. During the next recession, transportation revenue will crash and needed projects will be delayed. Investment signal. Highway users are somewhat more supportive of higher user taxes if there is a direct link between what they pay and what infrastructure they receive. Virginia’s 2013 changes were not a major problem until this year. In 2018 the leaders of the District, Maryland and Virginia decided that WMATA, which runs heavy rail and some bus transit in the Washington DC region, needed additional funding. (Whether WMATA needed funding and the amount it needed is a topic for another day). Virginia officials examined different funding sources including property taxes and general sales taxes. But the state’s transportation trust fund provided an easy source of unprotected revenue to tap. As a result, $102 million of the $154 million Virginia is providing to Metro came from funding intended for highways. Governor Northam and northern Virginia leaders tried to find additional funding. They pressed the General Assembly to allow northern Virginia to increase taxes to make up the difference. However, Republicans from southern Virginia rejected the imposition of additional taxes in northern Virginia. One-hundred million dollars is a chunk of change. And the loss of revenue will lead to the delay or cancellation of dozens of needed projects in northern Virginia. Worse, there is nothing to stop the General Assembly from diverting other revenue in the future. 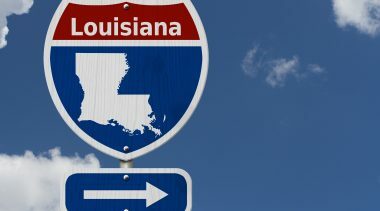 Legally, the state could divert transportation sales tax revenue to parks or to economic development schemes or schools. I’m sure a creative lawmaker could link any of them to transportation. Next year, Virginia’s General Assembly needs to strengthen the users-pay/users-benefit principle in their transportation trust fund. Otherwise more diversions are just a matter of time. When California voters narrowly approved a $10 billion bond measure to help pay for the state’s proposed high-speed rail (HSR) project in 2008, the projected cost of Phase 1 (from San Francisco to Los Angeles and Anaheim) was put at $42 billion, and the projected completion date was 2020. The balance was supposed to come from federal grants and private investors. With only $3.5 billion from the feds and no interest from the private sector, the funds needed to complete Phase 1 are still in question, especially since the project’s 2018 business plan now projects that the cost will be somewhere between $63 billion and $98 billion—with a completion date of 2033. These figure come from an assessment of the 2018 business plan by Jeff Davis of Eno Transportation Weekly (March 12, 2018). In his review of the plan’s current approach to funding the Bakersfield to San Francisco portion of Phase 1, he points out that the California HSR Authority (CHSRA) is pinning its hopes on issuing revenue bonds backed by state greenhouse gas cap-and-trade revenues. To this end, it is lobbying for (1) extending the state’s greenhouse-gas cap-and-trade program from 2030 to 2050, (2) a guarantee that if cap-and-trade revenues decrease, the state will cover the difference (which Davis says is equivalent to a general-obligation guarantee of the bonds), and (3) a guarantee that future legislatures will not change the allocation of those revenues to the bonds. Davis also provides this chilling assessment: “Since CHSRA now admits it will probably run out of money before finishing the San Francisco to Bakersfield segment, it is glaringly obvious that there are zero dollars currently identified to extend that system south from Bakersfield through Los Angeles to Anaheim to complete Phase 1.” He finishes the piece by reminding readers that the original plans contemplated a Phase 2 that would extend the system north to Sacramento and south through Riverside to San Diego. The plan airily suggests that once the full Phase 1 is in operation, its revenues could be monetized to fund Phase 2. 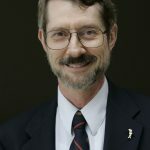 That this is highly unlikely is one of the conclusions of a sensitivity analysis of the assumptions used in the 2018 business plan by Ed Ring of the California Policy Center, summarized at: http://www.foxandhoundsdaily.com/2018/fatally-flawed-centerpiece-californias-transportation-future. First, Ring shows that the plan’s baseline assumptions for the Bakersfield to San Francisco segment result in negative cash flow for 14 years until 2039. Then, by making only modestly more-conservative assumptions, Ring finds the project would be cash-flow negative until 2059. He points out that this kind of analysis is what “any savvy investment banker would start with” before deciding whether it would be prudent to buy any of the project’s bonds. And there is good reason to question the new plan’s assumptions, particularly its projected ridership and trip times. Each time the business plan gets revised, more of the total 434 miles will operate at speeds well below the 220 mph touted by proponents. Los Angeles Times reporter Ralph Vartabedian in March identified another 30 miles that will run at lower speed: the route between San Jose and San Francisco. Instead of running on an elevated track, the HSR will operate on ground-level tracks through a highly urbanized area with numerous grade crossings. CHSRA claims it can safely operate this stretch at 110 mph—but that is not the case for the privately-funded Brightline train in South Florida. Between Miami and West Palm Beach, its allowed top speed is 70 mph—and that is with extensive safety improvements to grade crossings. Reviewing various CHSRA documents assessed by Vartabedian, I found 91 miles that will likely be restricted to 70 mph and another 45 miles in tunnels where speeds will likely be no higher than 150 mph. Assuming that on the remaining 298 miles the average speed will be 200 mph (due to grades, slowing down for the slower sections, etc. ), my estimate of the total elapsed time between Los Angeles and San Francisco is 3.09 hours. And that is a problem, since the ballot measure approved by the voters requires that nonstop journey to take no longer than 2.67 hours. With all this negative news, political support for the project is weakening. A USC Dornsife/Los Angeles Times poll in May found that only 31 percent of voters statewide want the project’s construction to continue, while 49 percent favor stopping construction. However, 50 percent of those in the San Francisco Bay area favor continued construction. In the governor’s race (to succeed term-limited HSR booster Jerry Brown), Democratic nominee Gavin Newsom is presumed to support the project, while Republican nominee John Cox favors killing the project. Bus Rapid Transit (BRT) is the fastest-growing U.S. transit mode. The Trump Administration has prioritized funding BRT projects over light-rail projects. A region can build three to nine BRT projects for every one light rail line. However, while BRT may be enjoying greater popularity, there is still considerable debate about the definition of BRT. And that debate may be affecting real-world projects. Many elected officials have been hesitant to jump on the BRT bandwagon. Like most Americans, they view light rail as a sexier option, even if it is an old 19th century technology. One reason that political leaders prefer rail is its perceived permanence. Once a light rail line is constructed, it does not get removed. BRT lines are designed to be permanent as well, but they could move to a different alignment as development patterns change. American development patterns have changed significantly over the last 50 years. Think of the advantage of moving a line to a densifying part of the city or connecting two suburban locations poorly served by transit. Practically, few lines are likely to be moved, but the ability to move a line is an advantage. BRT practitioners are also worried about traditional bus service labeling itself as BRT and watering down the concept. BRT planners have worked to differentiate BRT from slow bus service that Americans often avoid. They worry that poor BRT service will cause riders to clamor for expensive, unneeded light-rail lines. The following table shows the difference between BRT and other bus services. To convince politicians and the public that BRT is a quality service, different definitions for BRT have been developed. In theory, BRT lite follows the Federal Transit Administration (FTA) definition of BRT in which over 50 percent of the route operates in a right-of-way dedicated to transit during peak periods. The service must also have some combination of defined stations, traffic signal priority, and 15-30 minute headways for 14 weekday hours and 10 weekend hours. This service is labeled Fixed-Guideway BRT. However, in reality, the FTA also awards funding for Corridor-Based BRT systems that do not operate in their own lane or have their own guideway. All that is required to receive federal funding for BRT lite is short headways (time between buses), defined stations and traffic signal priority. Therefore, most practitioners don’t see dedicated lanes as a requirement. The Institute for Transportation and Development Policy (ITDP) has developed standards closer to BRT heavy. ITDP’s BRT Standard scores lines based on BRT service quality and awards gold, silver, bronze or basic rankings. Systems that do not meet ITDP’s standards are rated as “not BRT”. The organization awards points in six categories (The BRT Basics, Service Planning, Infrastructure, Stations, Communications, and Access and Integration). It also deducts points for violations such as overcrowding and long headways. Systems can receive up to 100 points. Those scoring 85 or higher are gold; those at 70 or higher are silver; those at 55 or higher are bronze, while those at 30 or higher are basic. However, to be considered BRT by ITDP, systems must be in dedicated lanes and have a specific alignment. And since this country builds mostly BRT lite, many U.S. systems don’t qualify, and many U.S. practitioners consider the guidelines too onerous, particularly in small and medium-sized communities. Many of the BRT gold, silver and bronze BRT systems are in developing countries ruled by authoritarian governments. If China or Indonesia decide that they want to convert a traffic lane to BRT, they don’t have to worry about an environmental review or public comment. We don’t have that style of government. A recent development in the Tampa area shows that this difference is more than an academic exercise. Several outside transit experts met with Tampa’s political leadership and suggested that the region’s new transit plan was not real BRT. The region has plans for an extensive bus-based network that uses both BRT lite and freeway BRT. Unlike past Tampa rail plans, the bus plan had political and popular support. But when news broke of transit experts claiming that the plan was not real BRT, because it was not BRT heavy, the plan took a major hit. Some leaders who wanted light rail argued BRT was no substitute for rail despite the lack of popular support or funding for rail lines. Others who never wanted transit in the first place argued the region was wasting its money on ordinary bus service that moves poor people around. It would be ironic if the transit referendum fails, because some BRT folks are denigrating a BRT-based solution because it does not meet their standards. We need to have a common-sense definition of BRT. We should not allow local bus services without ITS features and some type of running way priority to be called BRT. But it is just as crucial that we don’t mandate an unrealistic definition of BRT that imposes high costs on other roadway users. Curbed.com publishes some interesting material about urban transportation. But I was taken aback by a June 21st post by Alissa Walker, headlined “Why the ‘Distracted Pedestrian’ Is a Myth.” That struck me as bizarre since I had very recently read a summary of a research paper in the TRB journal, Transportation Research Record, on this very subject (“Pedestrian Behavior at Signalized Intersection Crosswalks: An Observational Study of Factors Associated with Distracted Walking, Pedestrian Violations, and Walking Speed”). The four co-authors are all faculty or research assistants at Northern Arizona University who conducted detailed observational studies at one signalized intersection in New York City and three others in Flagstaff, Arizona. They found that most pedestrians they observed were not distracted—but 14 percent were: talking, texting, wearing headphones, or otherwise using their phones as they crossed (either within or outside the crosswalk markings). While 14 percent may not seem like much, vehicle/pedestrian accidents have increased 46 percent between 2009 and 2016, while the number of cellphones in use from 2010 to 2016 went up by 236 percent. If even 5 percent of pedestrians cross the street distracted, that could easily account for a significant fraction of the car/pedestrian accidents. When I read Walker’s Curbed article, I expected to find that she had a source that differed significantly from the Northern Arizona University study. But it turned out that was her source. For the first nine of her piece’s 13 paragraphs, she bad-mouthed critics of distracted walking for trying to “pin the blame on pedestrians for supposedly looking at their devices instead of the sidewalk”—and cited that same study as her evidence. It was only in paragraph 10 that she revealed the study’s 14 percent finding, and agreed that “even 14 percent of walkers being distracted does present a risk.” Well, yes it does! Last year Ford Motor Co. got criticized for using the term “petextrians” for those who text and walk, in a campaign to raise awareness of the hazards of distracted walking and to publicize a new pedestrian detection feature of the 2017 Ford Fusion. “Blaming the victim,” cried the critics. But if a person engages in behavior that puts herself directly in harm’s way, and is hit by a car whose driver is obeying traffic laws, that distracted pedestrian is responsible for the accident. Identifying who is at fault in accidents is how we figure out what safety improvements may be needed. Governor Drops Long Island Sound Tunnel. A recently revived proposal for a highway tunnel under Long Island Sound, linking Westchester County or southwestern Connecticut to Long Island was, at best, put on hold at the end of June by New York Gov. Andrew Cuomo. A feasibility study had estimated the cost at between $31 billion and $55 billion. The tunnel would have offered travelers going between Long Island and Connecticut substantial time savings, while reducing congestion on the expressways north and east of Manhattan. Developer/Operator Selected for Detroit/Windsor Toll Bridge. The Windsor Detroit Bridge Authority on July 5th announced the selection of a winning bidder for the Gordie Howe Bridge P3 project. Winning the three-way contest was the team led by ACS Infrastructure and Fluor. The team will design, build, finance, operate, and maintain the new toll bridge across the Detroit River, linking I-94 in Detroit with Highway 401 in Windsor, Ontario. The most recent cost estimate is $3.6 billion. Spain’s New Socialist Government Plans Toll Removals. Six major toll roads will be de-tolled once their current 50-year P3 concession agreements expire between now and 2021, the new Socialist government announced last month. The government will have to find an estimated $525 million to maintain the former toll roads. On the other hand, the new government says it will proceed with plans to re-privatize nine toll roads that the state took over following their bankruptcy during Spain’s severe recession during and after the global financial crisis last decade. Funding Delay for Alabama I-10 Bridge Replacement. Alabama DOT was turned down by US DOT for a $250 million INFRA grant, which it has been counting on for the state’s share of the financing for the planned $1.5 billion revenue-risk concession for the replacement Mobile River Bridge project. Three teams were short-listed last year for the DBFOM project, and Alabama DOT has also applied for a federal TIFIA loan for the project. It plans to re-apply for the INFRA grant, but this may delay the project. Dynamic Tolling for Denver Express Toll Lanes. Colorado DOT last month announced plans to test dynamic tolling on the U.S. 36 and a portion of the I-25 express toll lanes, which are currently in operation in Denver. Currently, toll rates are changed by the time of day on a pre-set schedule. CDOT’s only current express lane using a form of dynamic tolling is the I-70 Mountain Express Lane through Idaho Springs. If the pilot program is judged to be successful, dynamic tolling will likely become standard on CDOT express toll lanes. Converting CO2 to Vehicle Fuel. While efforts to devise non-petroleum bio-fuels continue, a company partly funded by Bill Gates has announced a feasible way to capture CO2 from the air and convert it into vehicle fuel. Compared with using conventional gasoline, the new fuel would be carbon-neutral. The technique, developed by Carbon Energy, is called direct air capture. It was already known to be feasible but at a cost that would make it uncompetitive with conventional gasoline. But Carbon Energy has published a detailed engineering and cost analysis for a pilot plant, suggesting that a scaled-up version could produce fuel in the range of $3.80 per gallon. More details at http://reason.com/blog/2018/06/08/sucking-carbon-dioxide-from-the-air-to-p.
Daimler Unveils Prototype Electric Trucks. Last month Daimler Trucks North America unveiled two planned all-electric truck models. The Freightliner eCascadia is a Class 8 heavy duty truck, with a range of 250 miles and a recharge time of 90 minutes. The other model is the medium-duty Freightliner eM2, with a 200-mile range and 60-minute recharge time. Those numbers are not as impressive as those for Class 8 trucks announced by Tesla and Nicola, but the latter two firms have not built trucks before. Speaking of which, Anheuser-Busch has announced an order for up to 800 of Nikola’s fuel-cell electric Class 8 trucks. French Government Bailing Out National Railway. The Economist reported (June 2nd) that as part of an economic reform plan that is being fought by, among others, the railway unions, it will take €35 billion in debt off the balance sheet of railway company SNCF, with the national government’s taxpayers assuming this burden. The idea is to make SNCF more competitive as rail lines in Europe are opened to trains from other EU members in the near future. On the other hand, relieving SNCF of massive debts is the economic equivalent of a massive subsidy, which may well run afoul of EU regulations. AV Benefits Estimated to Outweigh Possible Job Losses. A policy paper by Securing America’s Future Energy has reached the conclusion that the annual safety benefits from autonomous vehicles are likely to outweigh potential job losses due to automation (e.g., truck and taxi drivers) over a 35-year period. The benefits and costs were modeled under several scenarios, with benefits including reduced deaths and injuries, time savings for commuters, reduced dependence on oil (assuming most AVs are electric-powered), and improved access to retail and jobs. The costs were measured in terms of job losses and unemployment benefits, as the economy adjusts to vehicle automation. The report, “America’s Workforce and the Self-Driving Future,” is available online. $780 million per mile, BART to San Jose. $64 million per mile, Barcelona Sants tunnel. Somebody should be held accountable. Tunnel Technology Highlighted by Wired. Speaking of tunnels, Wired’s Tim Newcomb posted an excellent description of the technologies needed to operate the new double-deck tunnel in Seattle that is replacing a decrepit elevated highway along the waterfront. The June 16th piece is “The Brilliant Vigilance of Seattle’s Gargantuan New Tunnel.” Much larger than subway tunnels, this 2.5-mile tunnel has two decks, so is equivalent to five miles of capacity. At a cost of $620 million per mile (including the cost of demolishing the old viaduct), it’s much closer to French and Japanese tunnel costs than those of New York and San Francisco. Transit Decline Is Worldwide, Says Economist. In “Missing the Bus,” The Economist reports that transit ridership is decreasing not just in large U.S. metro areas but in many such areas overseas, as well (London, Madrid, Toronto, for example). It attributes the declines to ride-hailing usage, lower fuel prices, the rise of telecommuting, and reduced transit service levels and/or service quality. The piece appeared in the June 23rd print edition. Shuster Says an Infrastructure Bill Is Coming. The chairman of the House Transportation & Infrastructure Committee said in mid-June that he is working with other members of the committee to draft an infrastructure bill for release this summer. Joseph Kane of the Brookings Institution told the Washington Examiner that he expects the measure to focus on fast-track process reforms and incentives for private investment, which would be consistent with White House aims. Action in the Senate this year is less likely, given the attention that body will focus on the Supreme Court vacancy. Gas Tax Repeal on California’s November Ballot. 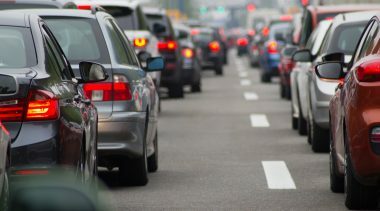 Republican conservatives gathered enough signatures to qualify for the November ballot a measure that would repeal last year’s large increases in fuel taxes and vehicle registration fees. Much of the business community plans to oppose the measure, but its popularity signals increasing dissatisfaction with what started out long ago as a user fee and has gradually evolved into a public works tax. Eliminate, Don’t Expand, Electric Vehicle Credit. That’s the title of a June 21st post by economist Veronique de Rugy of the Mercatus Center at George Mason University. She argues against Elon Musk’s concern over the impending expiration of the federal tax credit for electric cars once a producer passes the 200,000 sales mark. She also notes the unfairness of tax credits that subsidize mostly people with above-average incomes. The piece is available at Reason.com. Argentina Goes Back to P3 Toll Roads. Public Works Financing reports that the reformist government of Argentina is proceeding with six P3 highway projects totaling over 3,000 km, costing an estimated $5 billion. Though the corridors will be tolled, the DBFOM concession companies will be compensated via availability payments over the terms of the concession agreements. Chile Upgrading Toll Roads to All-Electronic. In order to reduce congestion and emissions associated with toll plazas, Chile’s public works ministry is negotiating with toll concession companies to get them to switch to all-electronic tolling that will be interoperable with what is already in place on the Santiago ring road. The ministry is offering 8 to 12-month extensions of existing toll concessions as an inducement for the companies to make the investment in all-electronic tolling.